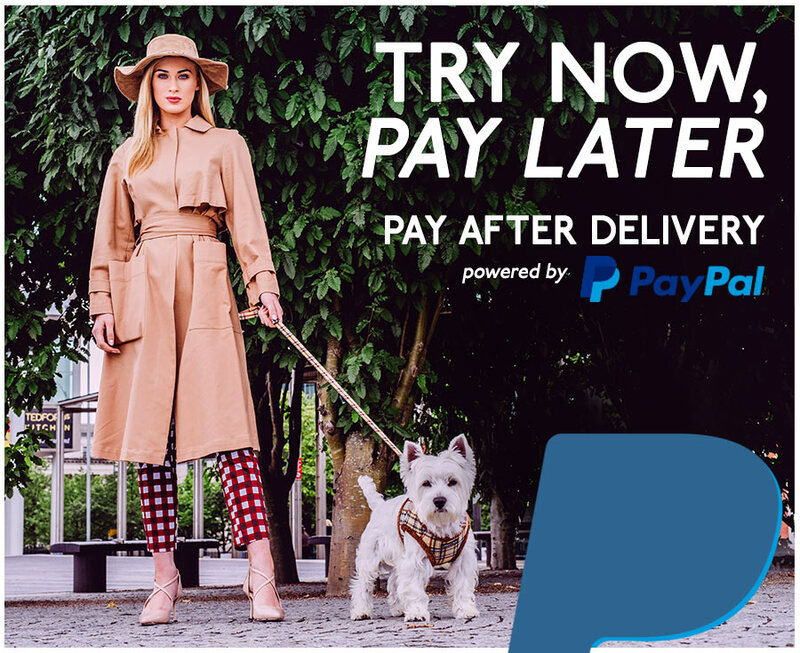 Pay After Delivery is a payment method offered by PayPal to their customers, where you don't pay for your order until after you've received it. Your Urban Pup order is dispatched immediately, so you receive it straight away, though payment isn't debited from your account until 14 days after. To enjoy the benefits of Pay After Delivery, pay 14 days later, please sign up for or login to your PayPal account. You need to add and confirm your bank account with PayPal. Please note, you can turn off Pay After Delivery at any time in your PayPal Wallet. Turn on "Pay After Delivery" in your PayPal Wallet and select PayPal when checking out at Urban Pup. That's it, try Urban Pup now, pay 14 days later.